In their last fight, Naliva had decked dropped Kwadjo eight times but for the fight to be called off because of the slippery canvas. Sorokoba native Savenaca Naliva is a man on a mission after he knocked out Robin Hazelman in the second round at Tilak High School hall in Lautoka on Saturday night. “I want a rematch with Joseph Kw­adjo,” Naliva said. “I was expecting that to happen against Hazelman. I had a game plan but this is for the return bout against Kwadjo. Hazelman who moved up from super middleweight to cruiserweight said he was happy to fight Naliva and that he never backed off from any chal­lenge. “I gave my best but come the next programme I will be back fighting at super middleweight,” he added. 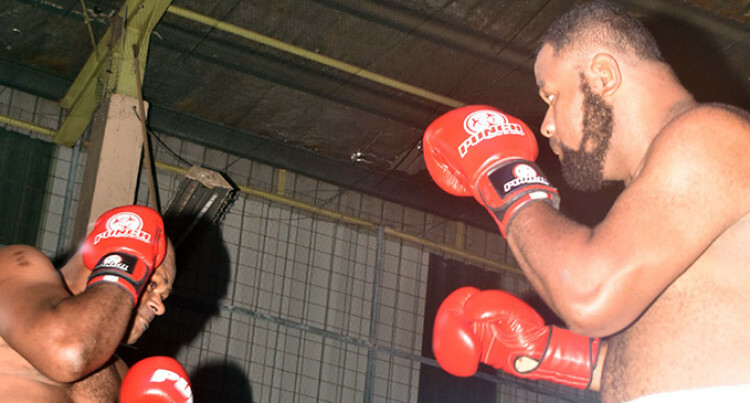 Fijian heavyweight champion Pet­ero Qica overcame a strong challenge from Alipate Nagata to score a third round technical knockout win at Tilak High School hall, Lautoka on Saturday night. Qica said he was grateful to Nagata for stepping in after his initial oppo­nent Jonasa Kavika withdrew for a fight in Melbourne, Australia. “The fight was good and I thank Na­gata for a good fight,” he said. Qica has remained unbeaten in the professional ranks after being earlier guided by the late Sunia Cama. He has knocked out the renowned heavyweight boxers like Mosese Ka­vika, Fatu Tuimanono and Alifereti Qiolele. “I fought well tonight but I’m sorry to the fans for letting them down with the early finish.